Looking for a new and fun way to invite your friends over for a baby shower? 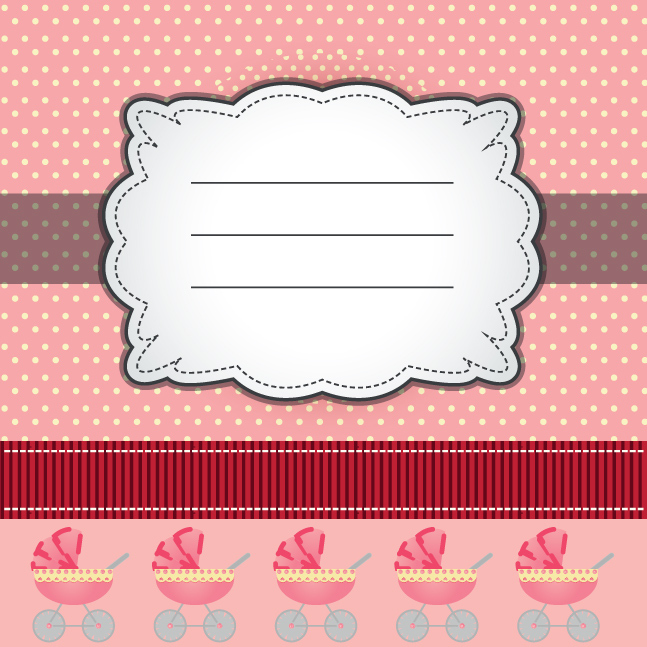 Use this adorable baby stroller filled Baby Shower Invitation Vector! This baby shower invitation vector is filled with polka dots and ribbons and its color scheme could easily be changed for a little boy.